Hybrid solar systems combine the best features of grid-tied solar and off-grid solar. A hybrid solar system remains connected to the grid and uses solar batteries to store excess solar power for when it is needed, such as in the evening or on a rainy day. Hybrid solar is by far the most popular solar storage set-up as it is much cheaper and requires far less storage capacity compared to off-grid systems, plus it has the ability to use the power grid as a back-up when needed. In a hybrid solar system, solar power is first fed into the home, and then excess solar power is used to charge the batteries during the daytime generating period. Power from the batteries is then used at night when the solar system has turned off. New batteries such as Tesla Powerwall 2 are now offering backup functionality that will allow you to power your home or business from battery storage during a power outage. Sonnen recognised every household has different energy requirements. Through intelligent design, Sonnen developed a multi-stage storage option for consumers. The sonnenBatterie can be incrementally expanded by blocks of 2kWh. This flexibility gives consumers generous customisation to choose the perfect battery for their home. Sonnen offers between 2kWh up to 16kWh capacities. A sonnenBatterie is not limited to storing energy generated only by your Solar PV system. A sonnenBatterie can be combined with wind generators, heat pumps and fuel cells. This flexibility allows for the sonnenBatterie to be an integral addition to all household energy models. In the daytime, the solar panels’ energy generation is at its peak. But since nobody is home the energy consumption is very low so that most of the generated energy is stored in the sonnenBatterie. The highest daily energy consumption is in the evening when the solar panels produce little or no energy. The sonnenBatterie will cover the energy needs with the energy produced in the daytime. At sunrise, the solar panels start to produce energy, though not enough to cover the morning energy needs. The sonnenBatterie will bridge the gap with the stored energy from the previous day. The innovative Enphase Energy Management System combines energy generation from your solar system with battery storage, control, and management into one complete solution. It’s smarter and more connected than ever before. 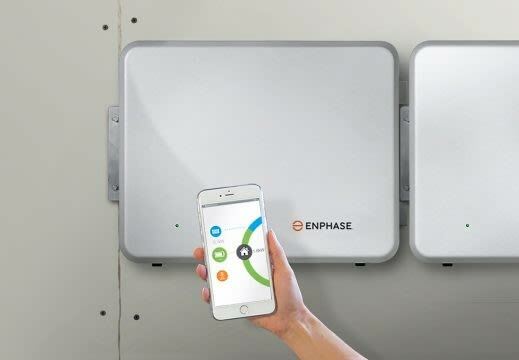 The response to the new Enphase Power Storage System has been incredible! We knew that an interest in battery storage was going to explode, but we have seen an even greater demand than what we expected. In fact, Enphase has just announced that they will be doubling production in Australia. We are very excited about the possibilities that the Enphase Energy Management System will provide for households and businesses and believe the Enphase product will be a market leader. Powerwall 2 is Tesla’s revolutionary home battery that stores the sun’s energy and intelligently delivers this clean, reliable energy when the sun isn’t shining. Increase your energy independence by combining Powerwall 2 with a Solar Power system to reduce your electricity bills and to run your home on renewable energy. Tesla Powerwall 2 is a beautifully functional storage solution that inherits Tesla’s proven automotive battery technology to power your home safely and economically. Completely automated, it requires little to no maintenance and is specifically designed for residential installations. Powerwall 2 from Tesla Energy is a home battery that stores excess solar electricity to be used in the evening. It can also draw power from the grid when power prices are low to use during peak billing periods when many Sydney households are now paying over 50 cents per kWh. As one of the few Tesla Energy Certified Installers in Sydney, new and existing Solaray customers can now install Tesla Powerwall 2 and expect the same high installation standards and support that has helped build Solaray Energy into the leading independent solar installer in NSW.